Our expert writer travel blogger Rachel DiMattia talks from her experience about how travelling is so much more fun and hassle free when you have less stuff. “One important skill that I have acquired from traveling long term is how to pack less. I will admit, when I started, this was one of my biggest traveling faults. I arrived in Australia for a year with two gigantic suitcases and a small backpack. I had so much stuff and nowhere to put it. I had to leave one of my suitcases at a friend’s house, and the other was shoved under my bed in my hostel. It was so impractical to travel with this much stuff, and I wondered what I had been thinking when I packed. Now, I have zero suitcases and one large 75 liter backpack. I still have too much stuff, but at least I am making progress. The way I was able to downsize? I reminded myself of the physical difficulty of traveling around with so much junk. That reminder of walking around in new cities, dragging a heavy bag behind me full of many things I never even wore was enough to make me change. I sent home most of my belongings, got rid of a lot, and kept what I felt I still needed. I now have one pair of jeans, one jacket, one fleece, one pair of leggings, one pair of sneakers, two pairs of flip flops, and the rest is a mix of t-shirts, gym shorts, practical and casual dresses, and a few nice tops. Of course I have bras, underwear, socks, and bikinis, but you do not need as much of this as you may think you do while packing. You can always wash things, even if that means you may occasionally wash some clothes in the sink. 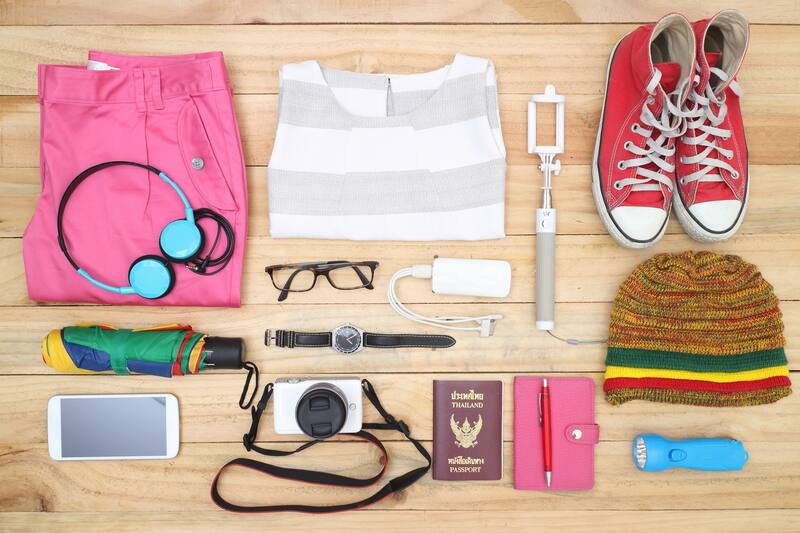 One important way to downsize your bag, even before you leave, is to start packing early. Create piles of things that you want to bring with you and leave them to the side. Go back to the piles frequently and discard items. Continue discarding until you have only essentials for your trip. Leave space in your suitcase! This is a tough concept because we tend to pack more when we have extra space in our bags, but you most likely will end up buying something on your trip, so it is better to leave space for something new rather than over-packing with things you will not end up wearing. Another useful packing strategy is to put outfits together so that you know exactly what clothes you will be wearing. This way, you can ditch the extra clothes that do not complete an outfit. You should take one pair of pants and one sweater and match them with multiple shirts. Do the same with everything that you bring. The more versatile the items, the less you need to bring.